Hello there, I am delighted to be taking part in Sunny Studio's 2nd Birthday celebrations today. They are one of my favourite companies and I just adore their stamps. Today we are using the new holiday release which is out on the 29th September. In honour of the birthday celebrations, you can pre-order the new products now! Yay! If you are following along in the hop, you should have arrived here from the fabulous Vanessa but if you get lost along the way, I have the full list of participants below. My first card uses the fabulous new Playful Polar Bears stamp set. The polar bears are just so cute! I started by stamping the bear of on to white cardstock. I then masked him and stamped the sleigh below so that it looks like he is sitting on it. The mask was removed and I coloured the image with Copic Markers. I stamped and coloured the present too. These were both then fussy cut out using scissors. I took a piece of white cardstock and cut an MFT Dome Stax die on to the bottom left hand side. Using the positive piece, I blended over Shaded Lilac and Wilted Violet Distress Inks on to it using a blending tool. I adhered this down to a purple A2 card base. I then took the negative panel piece and added acetate to the back. I applied foam tape around the opening to create a shaker card. I didn't want the sequins to move that much so I only added one layer of foam tape. I added the Lucy's Magical Shaker bits on to the card base and then added the panel on top. I added the polar bear and present on top with more foam tape. I then white embossed the sentiment on to black and added this to the card with foam tape also. COPIC MARKERS: Bear - E51, E50, C8, C5. Scarf - V17, V15, V12, BV11. Sleigh - E57, E55, C5, C3, C1. Present - V12, V01, V000, B93, B63. 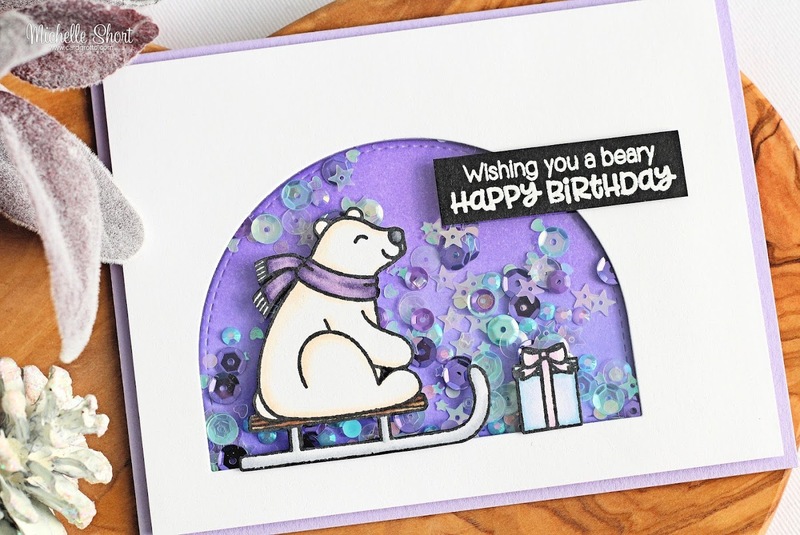 My second card uses the Playful Polar Bear stamp set as well as the Frosty Flurries set. I started off by creating the background. I die cut a piece of Bristol cardstock using a stitched square die. I then created a snow bank from mask paper and added this to the panel. I repeatedly stamped the Frosty Flurries stamp across the panel. I then applied white embossing powder and heat set. With the mask still in place, I blended over Shaded Lilac and Wilted Violet Distress Inks. The mask was then removed. I took the skating bear from the set and stamped this on to white cardstock with black ink. I coloured him using Copic Markers. He was then fussy cut out with scissors (there are dies available, I just do not have them yet). The panel was adhered to a black 4.75"x4.75" card base with foam tape. The bear was then added with foam tape on top. I stamped the sentiment on to a piece of black cardstock using Versamark Ink. I applied white embossing powder and heat set. This was cut in to a strip and then added to the card with foam tape. To finish off, I added Sparkle Pen to the scarf and added a few Lucy's Magical sequins around the sentiment piece. COPIC MARKERS: Bear - W3, W1, W0, R02, R00, C8, C5. Scarf - V17, V15, V12. Skates - V17, V15, V12, C5, C3, C1. 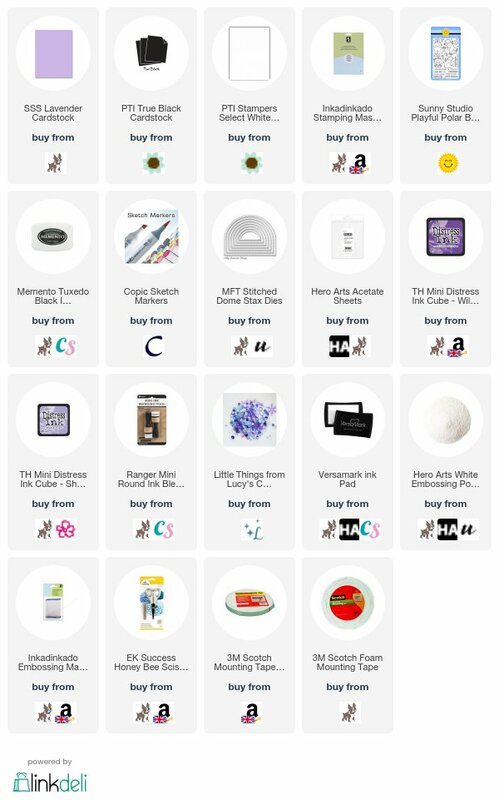 I have a $25 gift voucher to the Sunny Studio store to give away. All you have to do is comment on this post and I will randomly pick a winner. The giveaway closes on Monday 25th September at 23.59 PDT. The winners will be announced on the Sunny Studio Blog on Friday 29th September. The giveaway is open worldwide. Good luck! On top of that, Sunny Studio are offering 15% off all retail orders using the code CELEBRATE through to till October 1st. The next person in the hop is the amazing Anni. Thank you so much for visiting me today. I hope you have a great time on the rest of the hop and a fabulous day! Love the gorgeous backgrounds in both the cards. Really beautiful. And the cards are really amazing! Love the new release! The bear is so cute, and shaker cards are my favorite thing to make! :) Thank you for the darling cards! Your cards are adorable! I LOVE the big smile on the bears faces. They just make me happy! Great cards. Especially love the shaker!! Love this release! Your cards are awesome' I love the purple coloring you've used. Adorable bear cards!! Flawless masking and fussy cutting. Thank you for sharing!! Love these cards and the use of purple, my favorite color! That shaker card is adorable! 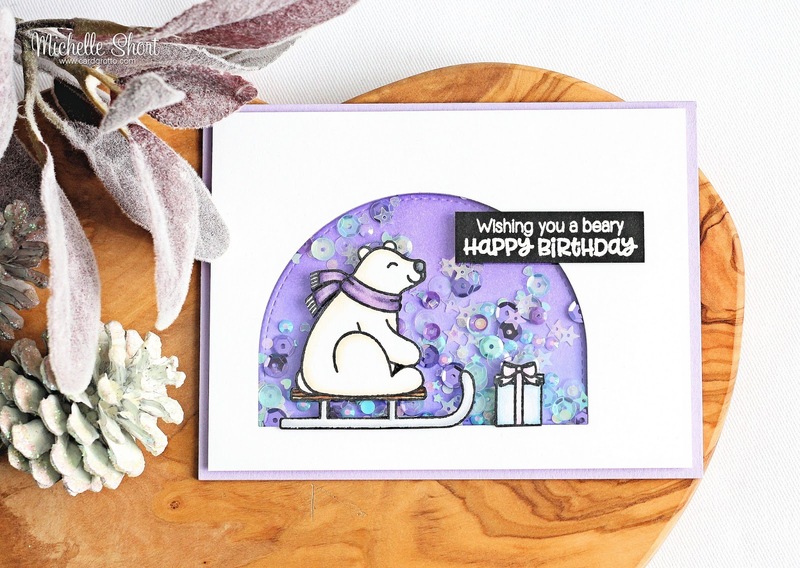 I love your use of purple tones in your cards - so pretty for winter! The polar bear is adorable and I really like the layout of your first card and inclusion of that dome shape for the shaker area. 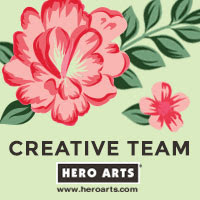 Thank you for sharing your art with us! Such fun cards! Love that bear! I never thought of purple for the sky! Great idea! I love your purpley cards and your shaker! So so cute! I LOVE your terrific bear shaker! Those purple tones are really gorgeous too! I love these polar bears! Your cards are too cute! Such fun cards, love the purple backgrounds! 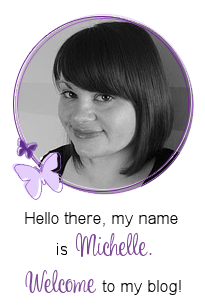 Hello Michelle - Love the colors and those lovely bears! Like the shaker very much! TFS and for the hop - Happy Birthday!! I LOVE these cards Michelle! Your colors are amazing and they have such a sweetness to them. Thank you for helping us celebrate our 2nd birthday today. I'm such a fan of your work and having you join us means the world to me! Big hugs! Fantastic cards Michelle! I love those polar bears! The shaker card is just gorgeous. Thanks for sharing with us. Very cute cards! Love those bears! I was hoping I'd see someone use the polar bears. Fantastic cards! Those bears are so much fun. I love the color on your card. Very cute scene card! Your bears are wonderful. Of course I am biased because of my love of all things purple.... this set is so cute. You presented it nicely. I love the purple on these cards..such a pretty look! Good job!! Happy Birthday Sunny Studios! I love the wintery colors! The bears in this release are so cute. And I like that you used purple as the main color. Adorable. Love the bear cards! So adorable. Love the Polar Bears the one skating is so awesome. Super cute cards! Love that polar bear! Lovely purple cards! Love the shaker and those sweet polar bears. This polar bear looks so happy! Super cute! Great card for a winter birthday, love your background! I can see a set of polar bear cards as an adorable gift. So excited to see a shaker card and you nailed it! Love them both! Lovely cards. Love the gorgeous backgrounds in both cards. The shaker card looks awesome and love the colors you used. Perfect winter themed cards! Such pretty shades of purple. Loving the purple and scenes! Beautifully made! Thanks so much for the inspiration and giveaway! I love the purple background that you created with the distress inks! Wow! You have definitely inspired me to go pick up a set of coordinating purple distress inks. I am going to pair that Frosty Flurries stamp set from Sunny Studios just like you did! Thanks for inspiring me! How I love purple! These are awesome cards! My favorite color!!! Your cards are awesome!! I really don't know how you come up with so many cute card ideas. This card is so cute. The bear is so cute and who can resist purples and a shaker?! Thank you for sharing. Adorable cards! The bears are so sweet and I really like the purple theme. Both cards are super cute. Beautiful set of cards, Michelle. Love the lavender. Nice non traditional color choice. 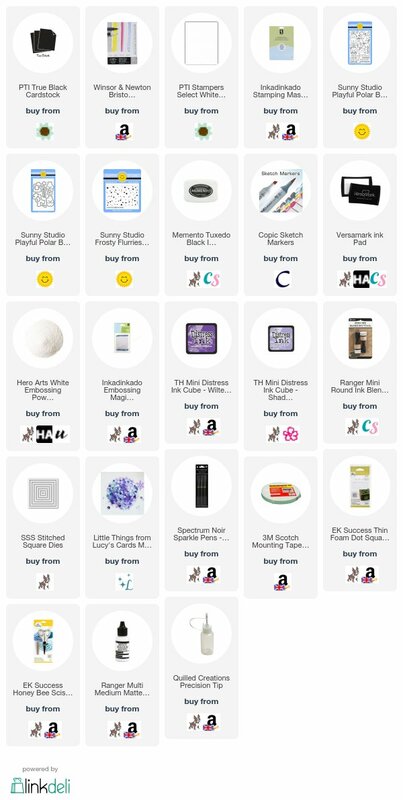 I'm a little confused about the blog hop. Several say we have until Monday night, but yours says the 18th. Just wondering if I'm to late? Thank you. Your Polar bears are so cute and love the colour of scenes. I enjoy using purple for my Christmas cards, so love these. Cute shaker card with that huggable bear! Fun purple color used! Even though the two cards use same colors, they look so different. I like how this set has four different stances for the bears. You've done a terrific job on both. Love that snow and that shaker is adorable. Love the purple and white in both of your cards. Now that I have seen the Frosty Flurries stamp in use, I think it just moved up the list to a 'must have'! Beautiful cards! Love those lilac skies! Those Polar bears are a must have. Great release! Happy Birthday Sunny Studios. Your products are fantastic! Both cards are wonderful! I especially like the use of soft purple in each one. It is a great choice to use as a backdrop against so much white, and really lets the SS images shine!! Thanks for sharing your designs with us on this fun hop! Great cards! I love them both and the different ways you used the polar beard. Your cards are happy feeling plus I love the purple! AND happy birthday Sunny Studios! Love the purple in your cards and the polar bear shaker card is my favorite. Thank you for sharing. What a really fun set with these polar bears. Wonderful cards. I love both of your cards. I just can't resist a shaker card, they are so fun. Polar bears say winter fun and are so cute on your cards having fun doing winter activities! Thanks so much for sharing your creativity! Your cards are super cute and fun. I like your use of the flurries stamp in the background. Love your cards. The bears are too cute and the use of the purple is so clever! Darling cards! Love the polar bears and your beautiful coloring! Both cards are beautiful and my favorite color!! LOVE your shaker card and your color choices. Thanks for sharing! Totally cool cards. Love the shade of purple you used too. Thumbs up to you. This bear is so sweet and happy! I love your color choices! Pretty card! Love the purple color! I love these cards!! The color combos are spectacular!! I might have to buy this entire release!!! Thanks for this fabulous inspiration. Super cute shaker card and very cute card!! Lovely... I would not have thought to use purples in the backgrounds, but it is just beautiful! Thanks so much for your lovely examples. Beautiful cards, love the backgrounds and colour theme. Your card totally changed my mind about the flurry card. Now another stamp on my wish list. I also love the purple. Great winter birthday cards. As usual, two absolutely adorable and beautiful cards !! Thanks for sharing ! These are so, so CUTE! Love that it's a shaker too! Adorable cards!! I love the shaker card-can't go wrong with a shaker! These polar bear cards are so cute!!!! Truly love your designs! Cute polar bear cards. I like that one is a shaker. Both cards are terrific but my fave is your shaker card! Absolutely loving the purple backgrounds on these cards! Love this adorable shaker!! The polar bear set is just too cute! Love the purples on the cards. Just Wow! your cards give off that frosty feel of winter with the polar bears. Love this set. thanks for sharing your talent with us! Great presentation of such a cute set! Adorable polar bears. Love both cards, the shaker has gorgeous colors and the dimension on the skating bears adds a great element. Both cards are so super cute!! Love your use of the lavender too!! Awwww Michelle, a sledding bear/shaker card AND a skating bear??? Oh my goodness they are both just way too darned CUTE! I really like the colour scheme you used in these cards! So sweet and so beautiful, I am in love with the color scheme! Yay for a fun shaker and a double yay for the purple in both gorgeous cards. Love the gorgeous scenes you created! The bears are so adorable! Both of your cards are absolutely adorable! The Polar Bear set is my favorite of all. It was fun to see you build your whole scene right over the shaker window. Your color choices were perfect! Two gorgeous cards. Love them both. Cute bears!It looks cool in both colors of card base. Your polar bears - both sledding and skating - make me beary, beary happy! Adorable cards, both! Just too cute. Love polar bears. Michelle - your polar bear cards are adorable! I especially love your color palette! Those purples are perfect! Thanks for sharing your ideas!! Really like the shaker card. Great colors....cute! I love shaker cards! Your color choices on both cards is lovely! I like polar bears, so I want to replicate both of your cards! Thanks for the inspiration! I really like the colors of your shaker card. The frosty flurry stamp creates such a great beautiful background. Thanks for sharing. Wonderful and adorable cards! The purple coloring is so pretty. Such cute cards!! I love the shaker card!! So so pretty. Both cards are stunning!! Love your use of colors. Also your ideals for the card. Fabulous cards and colours! Love the shaker card. Love seeing purple of holiday cards! Shaker cards are such fun! Great choice of colors, so pretty. What awesome cards and the cards just burst with color!! You did such a fantastic job creating backgrounds for these awesomely cute images!! Way to go!! Oh those are super cute cards!! I love the shaker and that purple background. I love these fun winter cards and love that you used purple and blue! Lovely cards. I love anything purple. Thanks for sharing. Love love love your cards, purple is my favorite color so what's not to love here right. Super Duper cuteness!!! Love these gorgeous cards! I am having such a difficult time trying to decide which sets to purchase from this amazing release. I would love to have them all!